Here we preview Verizon plans for seniors 2019. Verizon Wireless offers a new plan called Verizon 55 plus plans to target 55 years and older citizens. The new plan is a competitor to the T-Mobile 55+ plan and the Sprint 55+ plan and is different than the old Verizon 65 plus plan. 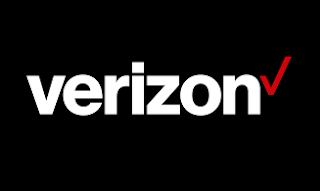 The Verizon 55+ plan offers unlimited talk, text messages, and data for a discounted price, you pay $60 per month with autopay discount and you can add a second line for $20 per month. The Verizon 55 unlimited plan lets you save up to $50 per month. Let’s review the plan and show the requirements to be eligible. Seniors who are smartphone users may consider this plan to get unlimited everything on the Verizon network; the number one wireless network in the US for a reasonable price. Unlimited Talk, Text, and 4G LTE data. Unlimited Mobile Hotspot at up to 600kbps speed. Verizon announced that this plan is a limited time offer. First line for $60 per month with autopay. You pay $15 less than the standard GO Unlimited plan. The second line for 20 per month with autopay. You pay $35 less than the standard GO Unlimited plan. The autopay service gives you a $5 discount per month. Unlike the T-Mobile 55+ plan; with Verizon Wireless you’ll pay additional taxes and fees. The Account Owner must be 55 years of age or older. Has one or two phones on the owner account. Has a Florida, Illinois, Missouri, Texas or Detroit, Michigan, billing address on the owner account. Verizon current customers can call the Verizon customer service number (800) 922-0204 or visit the store. New Verizon customers can sing up for the 55+ plan after verifying the eligibility. For more information visit verizonwireless.com/plans/55plus/. Is the Verizon 55 Plus plan for seniors better for you? This plan allows senior citizens to get the Verizon GO Unlimited plan for a discounted rate. It’s a big deal to get an unlimited plan from the best carrier at $80 for two lines with autopay (at $40 per line). But it isn’t the cheapest unlimited senior plan from any of the major carriers; the T-Mobile 55+ unlimited plan offers unlimited everything for $70 for two lines with autopay and taxes & fees are included so, you’ll not pay additional fees, unlike Verizon plan.